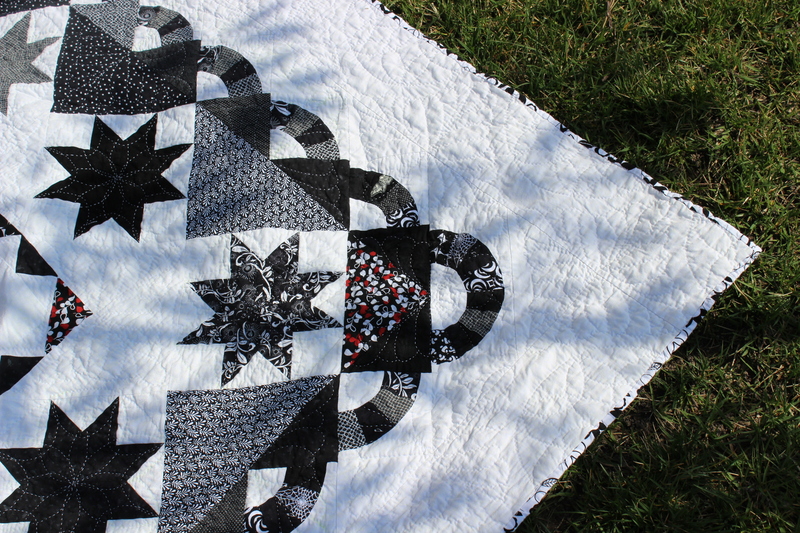 I struggled to complete this quilt (hand quilting feathers is time consuming). 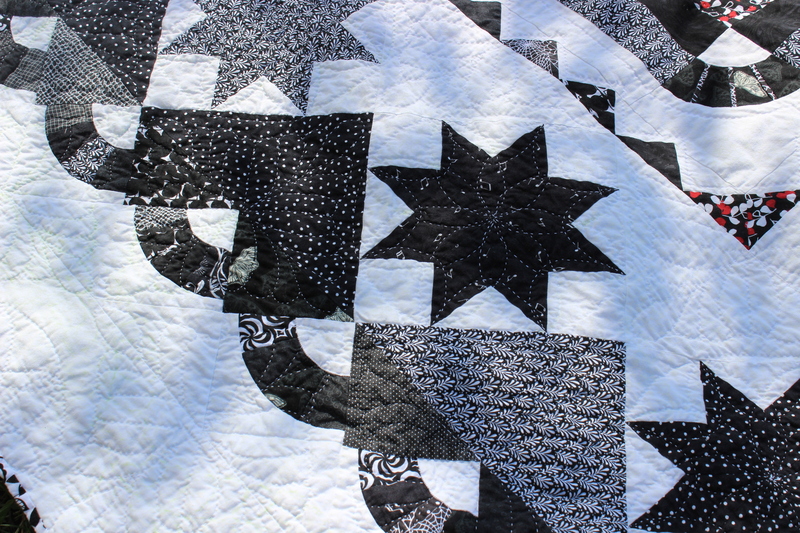 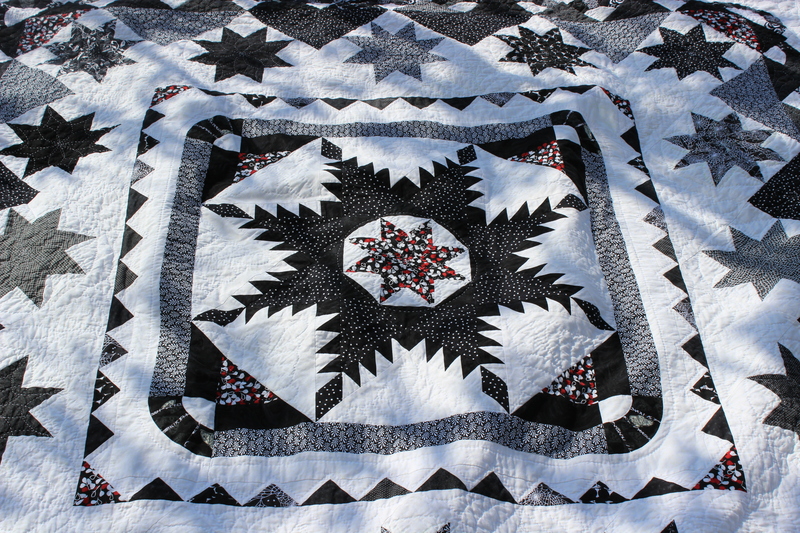 I began in December 2010, taking a class taught by Laura Blanchard of Plum Tree Quilts. 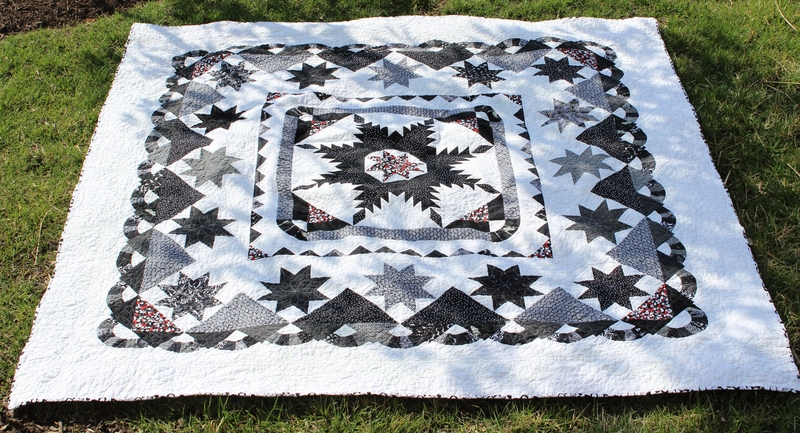 The pattern is by Marsha McCloskey.